The first quarter of the year has come to a close. (That was fast!) I am a co-author in the recently published, Women Overcome Through Writing Anthology. I hope my chapter will encourage anyone who is considering writing her memoirs to push past the fear and write! My contribution to this book has been one of my most challenging projects, so far. Challenging, humbling, and worth it! Thanks to Coach Jaime Washington for her encouragement and wisdom and we worked through our fears and committed our truths to the page. Congratulations to my co-authors! You ladies are amazing! Stay tuned! I’ll be sharing a link where you can purchase a copy of this inspiring anthology very soon! When the television show, Scandal, premiered, I recall Shonda Rhimes saying, she knew exactly how the series would end. Being a ‘pantser,’ I was amazed! How did she do that?! I declared her and her writing team a group of stone-cold, geniuses at that moment! As I mentioned in my previous post, my coaches have challenged me to do some things differently. It’s caused me to revisit the way I approach my writing. I usually start at the beginning, and write in a relatively chronological order – without an outline. (This hasn’t been working for me.) It’s a great way to start and get ideas down on the page, but I’m realizing that I have plan (outline) and perhaps, know where I want the story to end, first. I think I’ll finish more projects if I take that approach. Once a year (usually around November) the question comes up, “Are you a ‘pantser’ or a planner?” This question is usually a reminder that I need to work on my writing organization style. I’m a total ‘pantser.’ I sit down at the desk, and create “by the seat of my pants.” No outline. I let the story wander where it will, and then go back (while I’m still writing) and fix the noticable loopholes. This is a HORRIBLE writing habit. It slows me down and leaves as many holes in my story as there are in swiss cheese. One of my broad goals is to plan (and execute) better. I have two coaches in my life challenging me to do so. (The funny thing is, I didn’t go looking for coaches. They “happened” to me! LOL! #TheLordProvides!) And so, I’ve spent the last couple of weeks trying to plan, then write. Let’s just say, Rome wasn’t built in a day. This is going to take some work, and getting used to! But I’m determined to become better at planning and executing. My writing life depends on it! I’ll be sharing more on the process I’m using in coming posts. Stay tuned! Sometimes the issue isn’t not having enough to write, it’s having too many things (writing related and non-writing related) rolling about in your head at once! I’m going to try again tomorrow. Ok. I’m being sarcastic. For this round of the 30 blog day challenge, I’m trying to write things ahead of time. In the wee hours of this morning, I wrote two short stories. Please notice that neither one of those stories are posted here. They aren’t good enough….yet. Instead of working on them for the rest of the day, I spend the day thinking about them. (Which is still writing.) I was thinking as I put together a book shelf. (That’s writing, too.) That’s how writing works sometimes. It’s a lot of thought, with spurts of writing in between. The actual writing might not happen until 3 a.m. Or it might be several solid hours note taking, brainstorming, talking to myself and actual writing. It’s never easy, but when the story does finally come together it’s a relief! So…I guess I better get back to writing! The Post-A-Day Blog Challenge is almost over and I am patting myself on the back for keeping up with it! So, just in case you missed it, I am going to recap and list what I’ve posted so far. Here goes! I started this challenge a day late with my first post in 3 months, Back To Life. I’ve been trying to write a story to the picture featured in this post for AGES! It finally came together! If you are into Women’s Fiction, Sound Sleeper is for you! I shared a link to a vlog about a saddening incident that occurred in my community. It’s worth hearing what this vlogger has to say about being Black In America. If you have a writer, painter, singer, or artist of any type in your sphere, you NEED to understand how to care for them! They are fragile creatures! Take a moment to read The Care and Feeding of Your Creative One, then apply the lessons learned. They will thank you. I haven’t written a poem in a while. Step by Step was inspired by a scripture that says, “don’t despise a day of small beginnings.” Take a read! Be inspired! The Painting is a story about a budding romance. The image selected was the inspiration for this story. So far, Hell Hound, is my favorite post in this challenge! I let my hair down and let my twisted sense of humor come out to play! 😀 This was inspired by two writing prompts. Take a read if you are looking for a laugh! Another post inspired by a writing prompt that asked a simple question: When was the last time you said, “I love you.” You may need a Kleenex for this one. I needed to vent. So this post is about how Tired I was. I was having a challenging existence and you all are great listeners. Thank you for being there! Dear Vonnie was last week’s Throwback Thursday #TBT post. It’s a snippet of a larger story. In this tale, a mother is seeking forgiveness from her estranged daughter. Peace is a post that is all about you. Protect your emotion space, friend. 20 is a reflective post about my daughter crossing the threshold into a new decade. It’s Not My Time is my philosophy on being content with the season you are in. I’d love to hear your thoughts on this piece! And finally, The Most Wonderful Time of The Year…no…not Christmas, but the first day of school! Congrats to all you parents who survived the summer! The Challenge continues! Be sure to tune in tomorrow! I have NO IDEA what I am going to write, yet! But I’m sure I’ll come up with something interesting! Until tomorrow, good night! I had another post planned for today, but I was pulled away in the middle of creating to deal with an important matter. To be frank, I was irritated. The interruptions happen all the time, and for the most part, I deal with it. But, I wanted to finish my story, and then put some time in on another project before I went to bed. All of the things my characters needed to say were right there! All I had to do was type them! But sometimes it’s hard to get people to understand that when they see me gazing of into the distance, or searching the web for more that five minutes, that I’m not doing “nothing.” It doesn’t mean I’m available to talk or focus on anything else. I’m creating. I’m a zone. I’m searching for inspiration. I’m looking for information on any number of topics because I don’t want to put something in a story that a reader will point out as inaccurate. I’m crafting a world for others to escape to. It takes time and energy and focus to do that. Don’t assume they aren’t creating if you don’t see them writing, or painting, or sculpting they way YOU think they should. The creative process doesn’t always look like creating is happening. Ask, “Do you have a minute?” or, “Is this a good time?” – It’s a matter of courtesy. Again, when a creative person is in a zone, you don’t want to distract them. They may need a few minutes to finish pulling a thought together, or writing out a plan for a project. If it’s an urgent matter, let them know and be patient as they put their final touches on their work so that they can then give you their undivided attention. Don’t guilt trip them if they say, “No.” – If they don’t have time to focus on you, don’t take it personally. It may be as simple as they have a deadline to meet, and taking a break at that particular moment may be cutting into the time they have to complete their project. Don’t be discouraging. – Saying, “How come I haven’t seen your paintings hanging at the MET,” or, “It’s not like your on the New York Times Best Sellers List or something,” is rude and petty. People who manage to get their work in those types of spaces had to put in work! They had to focus on their craft. If you want to see their work celebrated and awarded, be a pal and speak words of encouragement, and then give them the time and space they need to work. What this means is that I need to plan better for 2017. (Yes, I am crazy enough to try this again!) That planning process starts NOW! I’ll get a new A to Z list started, and write some poems and short stories that will be all cleaned up and ready share by this time next year. I think I might plan to participate in Camp Nano, too. (I know. I just went from “crazy” to stark raving mad!) In the meantime, I’ll continue to drop drips and drabs for the 2016 challenge into the month of May. Stay tuned! A to Z isn’t over for me!! Oh, dear! Is that the time? I’m late! I am a few steps ahead. I have a spreadsheet with a few blog post ideas listed in alphabetical order, and I am in the habit of jotting notes in notebooks and note taking apps on my phone. As I’ve done in years past, I’ll be sharing poetry to celebrate National Poetry Month (NaPoWriMo) as a part of the A to Z challenge. Writing life is easier that way! So, stay tuned! I have some great flash fiction and poetry ideas that you will enjoy once I write and post them! TTFN! (Ta Ta For Now) See you on the next post! I was invited by my little sister doing big things, author and entrepreneur, Ms. Tiffany Christina Lewis, to take part in this blog hop! I’ve never blog hopped before, so this should be interesting! 😀 Today’s hot topic is: What is your writing process? Homework. Yes, homework. I’m taking a class on writing, of course! Just because I have published a book and written a gaggle of short stories and poems, doesn’t mean I have mastered the skill of writing. I can always learn more! Since I like the class, it doesn’t feel like a dreaded task (like algebra), it’s fun and I’m getting a lot out of it! This is going to sound a little corny, but I think my work is different because I don’t just write a poem or story to tell you what happened. I write to make you feel and relate to the character or situation. It’s not as deliberate as it sounds. I don’t say, “Today, I shall write about anguish!” My stories, are usually driven by questions like, “what would you do if ‘xyz’ happened,” or, “I wonder what ‘xyz’ person would do in this situation.” I find inspiration in life stories from the news and documentaries, and turn them into the answers of my ‘what if’ questions. For example, my short story Douglass, was inspired by a man who used to stand across the street from my house. He struck me as a less than savory fellow. He wasn’t homeless, as far as I knew, but he looked the part. He could have been a millionaire for all I knew. But I wrote the story from his point of view. Readers had great responses to this story! They related well to the main characters and considered how they might or should react in a similar situation. I have no idea! 😀 The truth is, I don’t write with a genre or specific style in mind. When I write poetry, I tend not to write in rhyme because I’m too darn lazy to put straight forward thoughts into rhyming couplets! If I find a rhythm in what I’m writing, I go for it. It it happens to rhyme, I consider it a bonus! When it comes to the short stories, again, I start with the questions. It may turn into dramatic fiction, or something with a paranormal twist, like my story The Rotten Courtier. My friend and fellow writer Don Miskel hit me with a “what if” and I ran with it! I don’t have a formal process, but I probably need something more structured so I can do more writing! 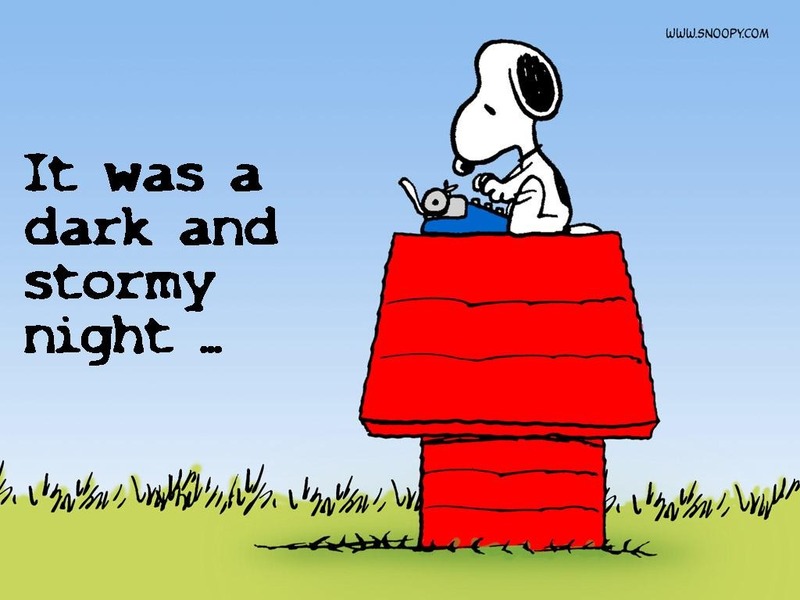 But, as any writer will tell you, story ideas will come to you at THE most inconvenient times, like when you are just getting into REM sleep. For this reason, my bed is my office! No lie. Pens, notebook, pencils, cell phone are within a few inches of my bed. The Evernote app is my friend! So is the Dragon Dictation app. Without those two tools, so many great ideas would have been lost to the Sandman forever! There have been many evenings when I have been awakened by a great story idea or poem, and recorded those thoughts in Dragon and copied them into Evernote or a new document on my phone, to finish when I’m not so sleepy. If you are a writer and you don’t have those tools, go get them! I’m telling you the truth, they are LIFE CHANGING! I also have several books of writing prompts that I refer to for inspiration. Those books are priceless when I’m having an “idea drought.” Between the books, and interrupted sleep patterns, I usually have something to put on the page or a blog post. When it comes to putting words on the page, I don’t outline…at first. I just write. I tend to think in scenes – interactions between characters. I don’t worry too much about how that scene came to be. I fill those detail in later. The previous details, the back story, is where I usually get stuck, so that is where I begin to outline! This is the method I used to write Spreading Ashes. This story was inspired by a documentary on forgiveness. My questions were “How do you forgive a parent for leaving you? Is it possible to welcome them back into your life as an adult and if so, how?” I wrote “the answers” to those question and discovered how the main character felt about both of her parents. Then I outlined the back story of her parent’s relationship, and a little on other family dynamics to pulled it all together. As a process, it’s a little backwards, but it’s what works for me. It takes me a while to produce a finished product, because I get so hung up on little details, but I aim to produce something realistic and relatable that readers will enjoy and hopefully, share with others! And there you have it – my writing process in a nutshell! Up next on this blog hop is my other sister of The Mighty Pen, Ms. Katrina Gurl!! She is a MASTER networker! She is the owner of Steamy Trails Publishing. She always has something brewing and is always willing to help an up-and-comer get published! Keep your eyes peeled for her post about her writing process! I know I’ll be taking notes! © Nike Binger Marshall and Nike Writes, 2009 -2019. Unauthorized use and/or duplication of this material without express and written permission from this blog’s author and/or owner is strictly prohibited. Excerpts and links may be used, provided that full and clear credit is given to Nike Binger Marshall and Nike Writes with appropriate and specific direction to the original content. Nike Writes Blog by Nike Binger Marshall is licensed under a Creative Commons Attribution-NoDerivatives 4.0 International License. Based on a work at https://nikewrites.wordpress.com/.